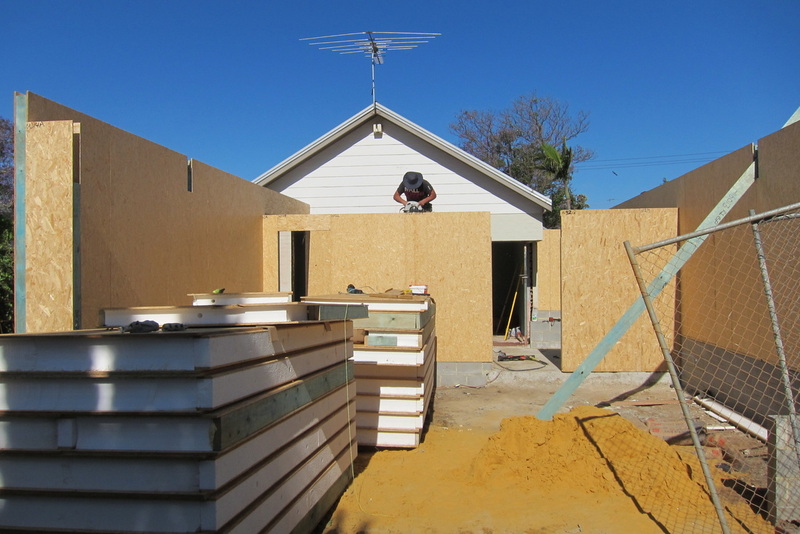 A project in Mosman Park comprising a rear extension to a home in which the owners have lived for 20+ years, and which has in this time evolved in response to the changing needs of the family. 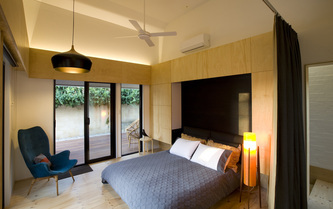 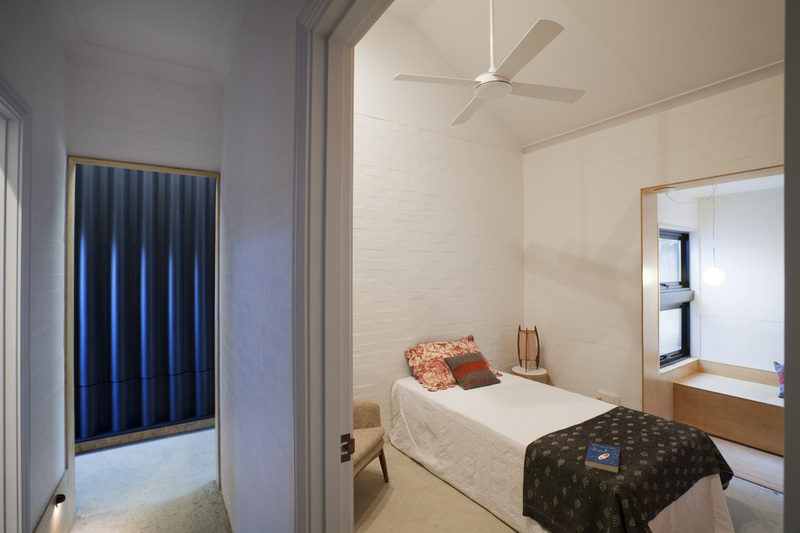 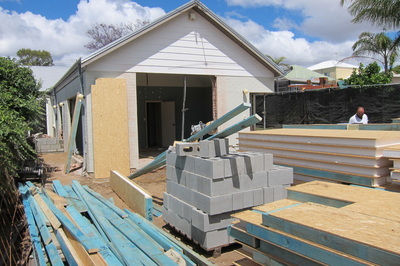 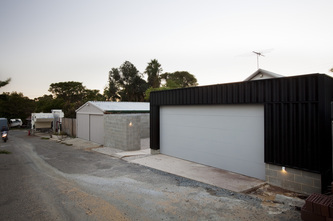 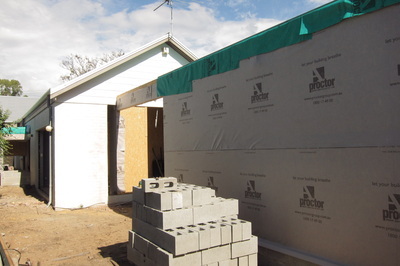 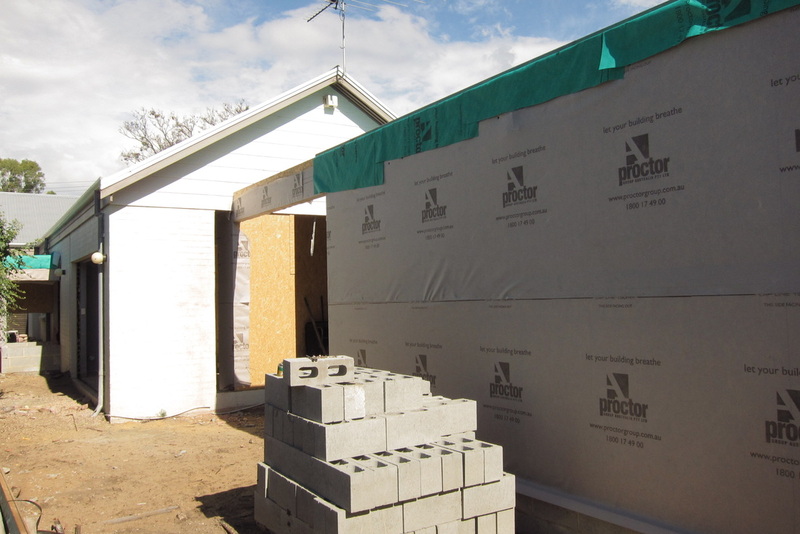 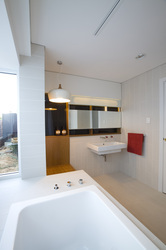 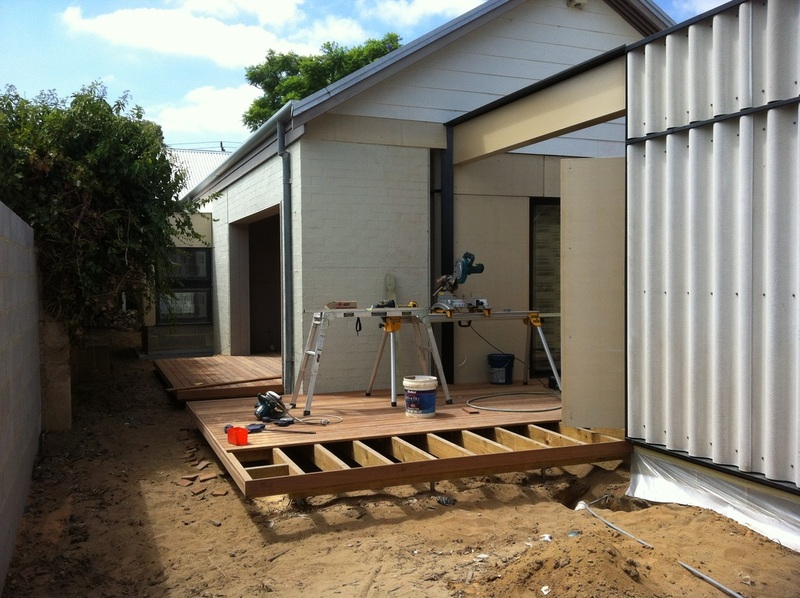 The present addition includes a garage & workshop accessed from a rear laneway, as well as a reconfigured master bedroom and renovation of two bathrooms. 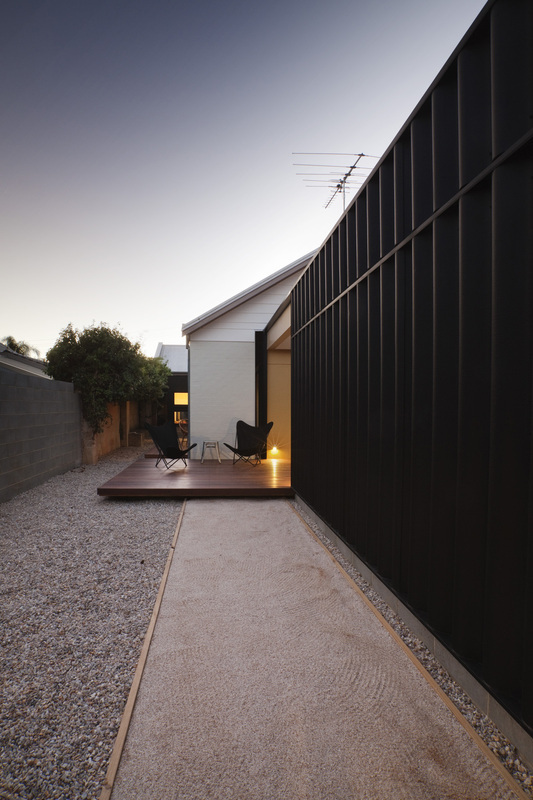 Borrowing the predominant materiality of the laneway, the extension is clad in 'super-six' fencing material and adopts the rectangular form of adjacent structures. 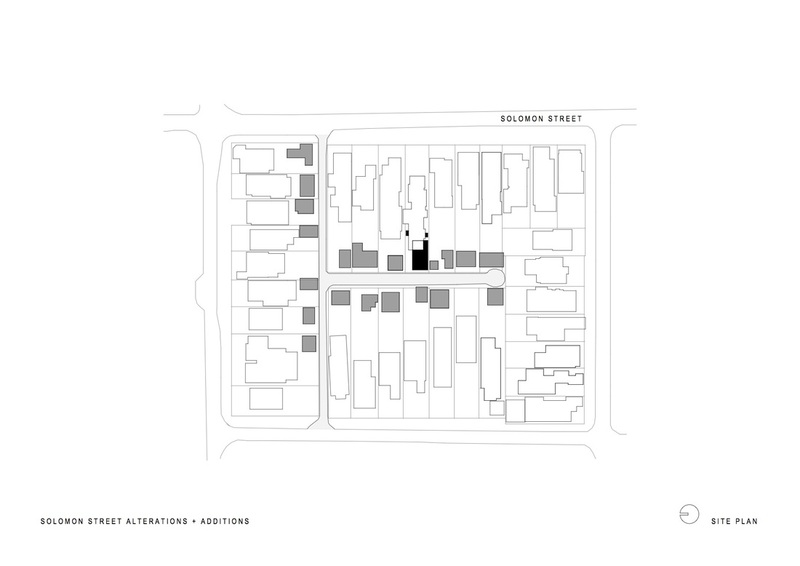 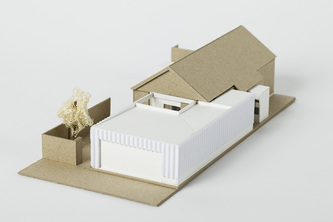 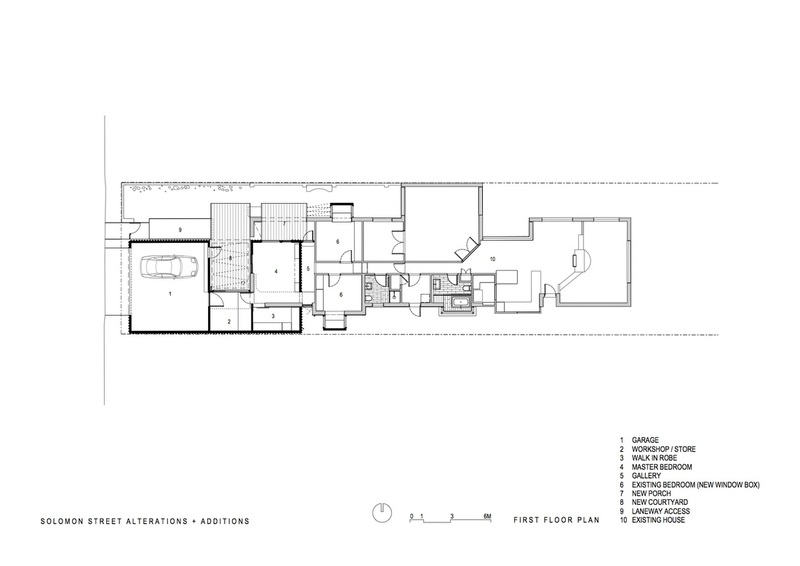 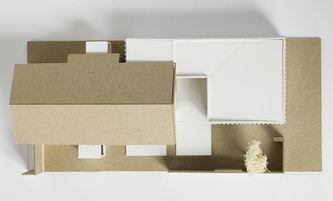 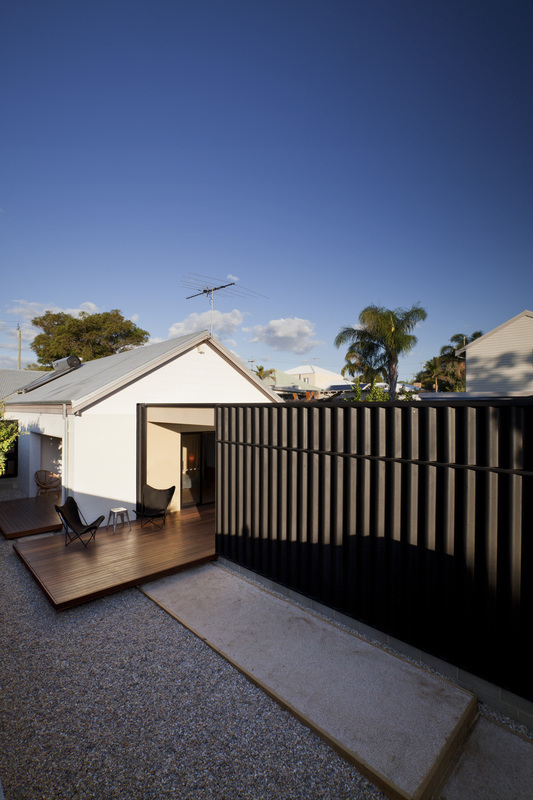 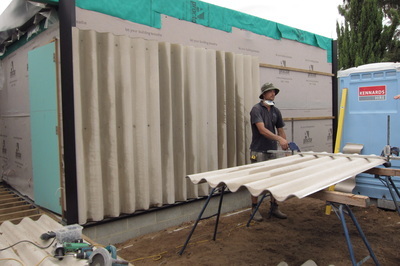 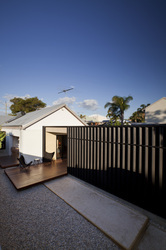 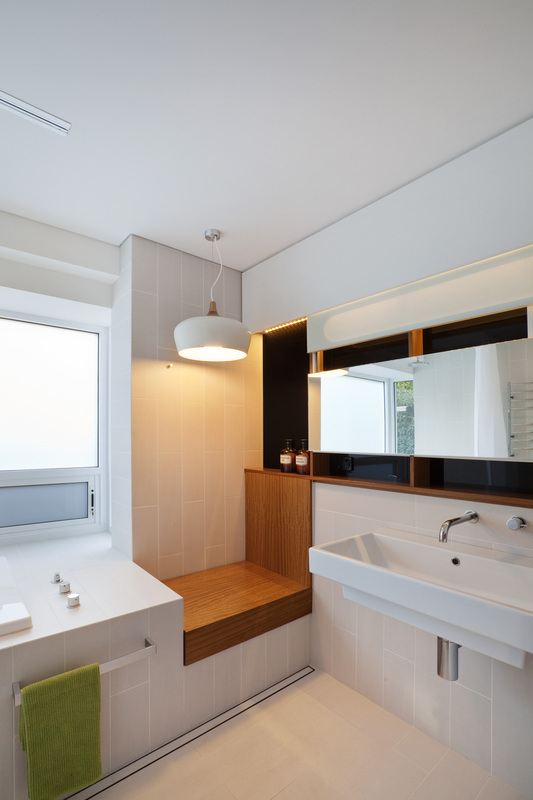 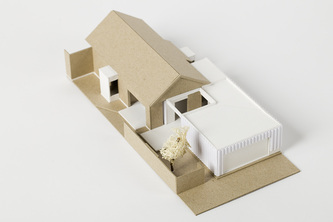 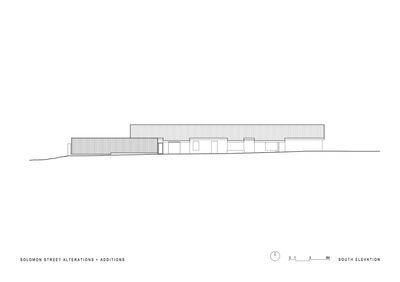 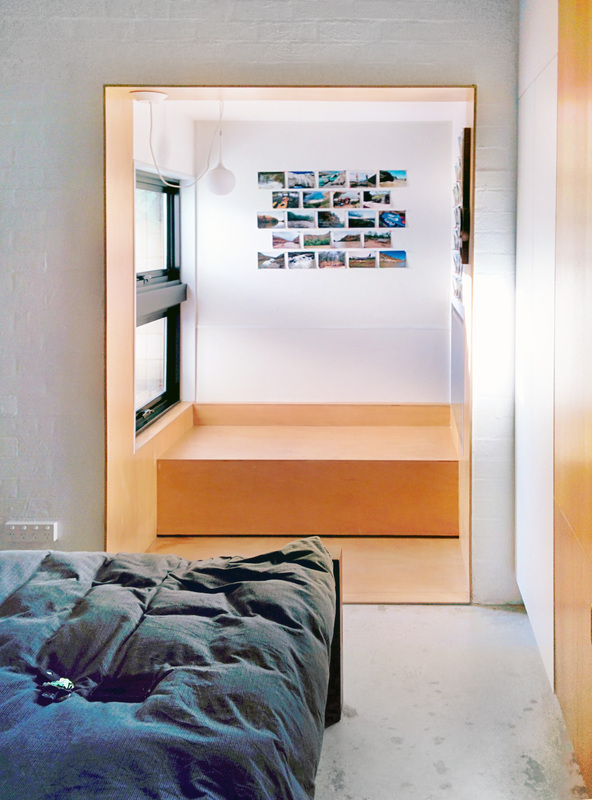 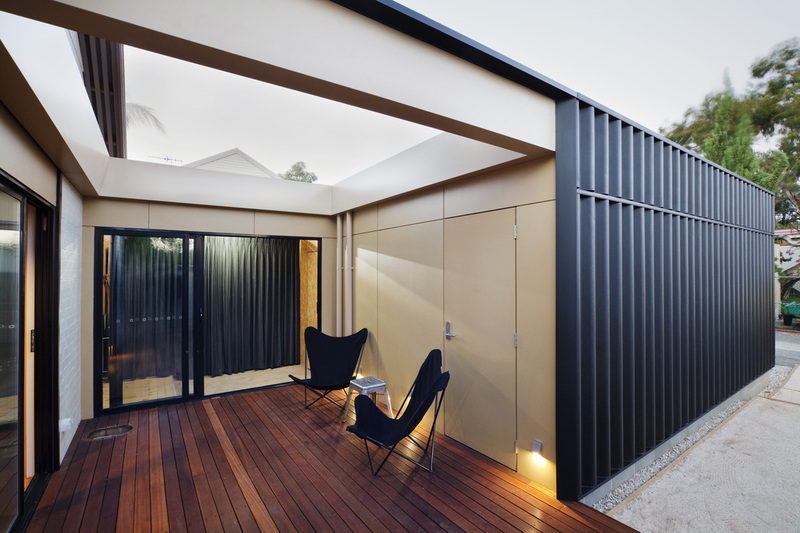 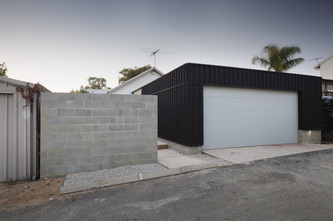 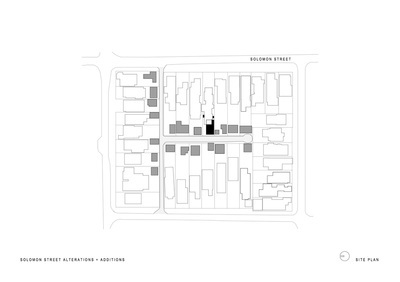 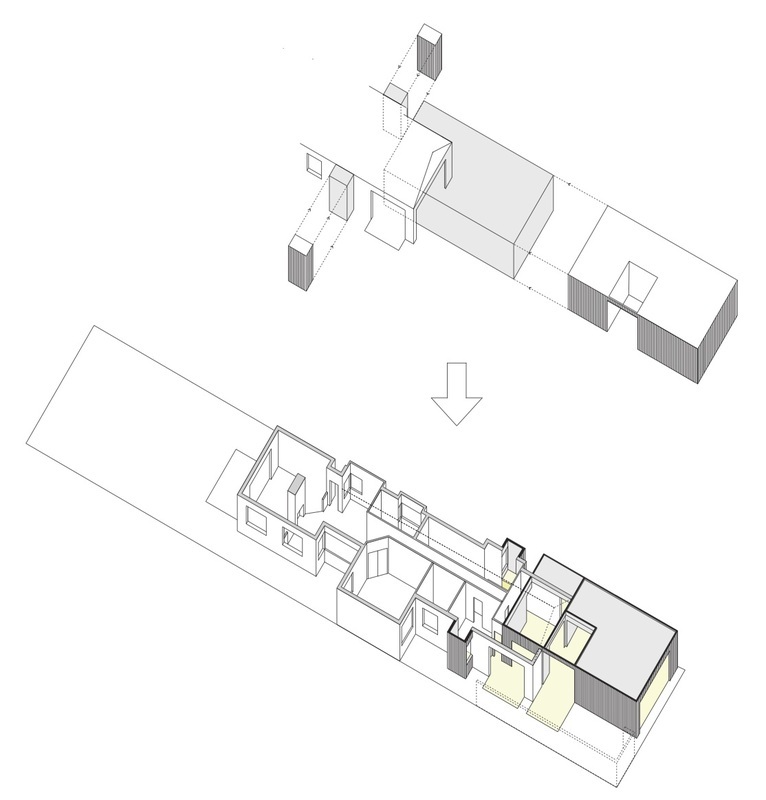 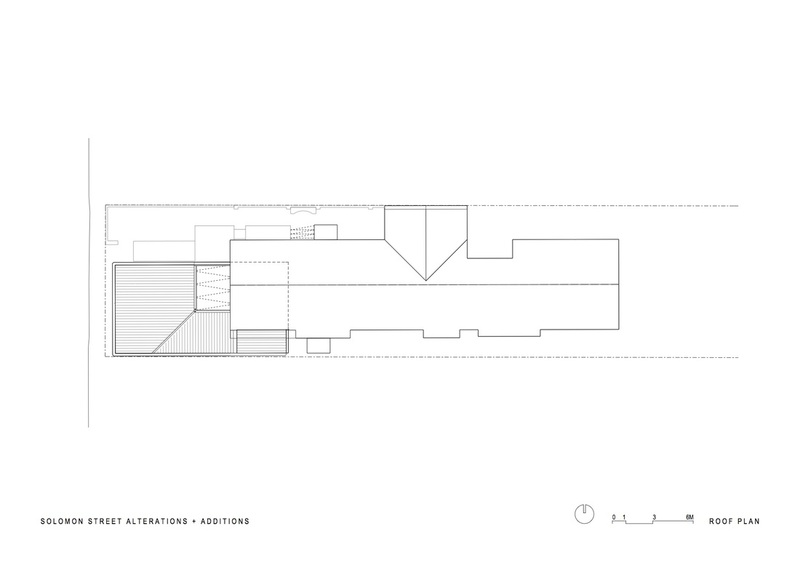 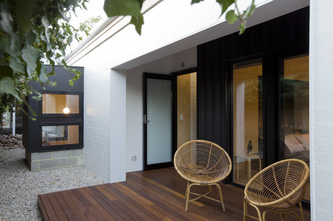 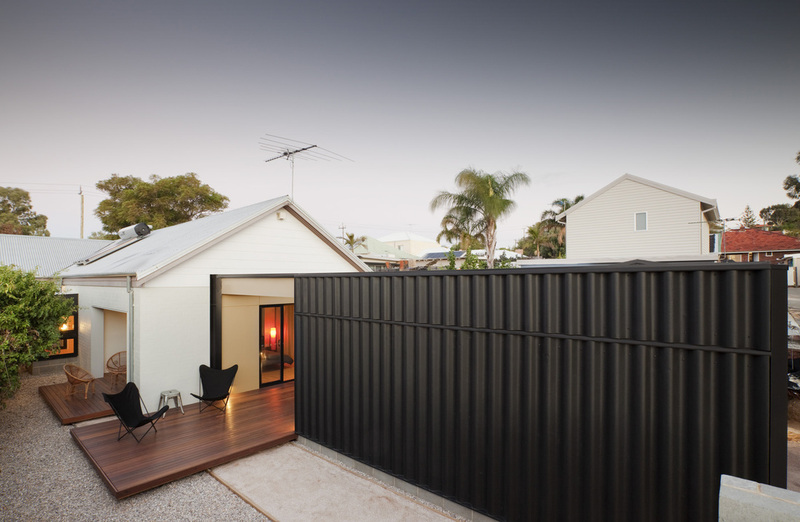 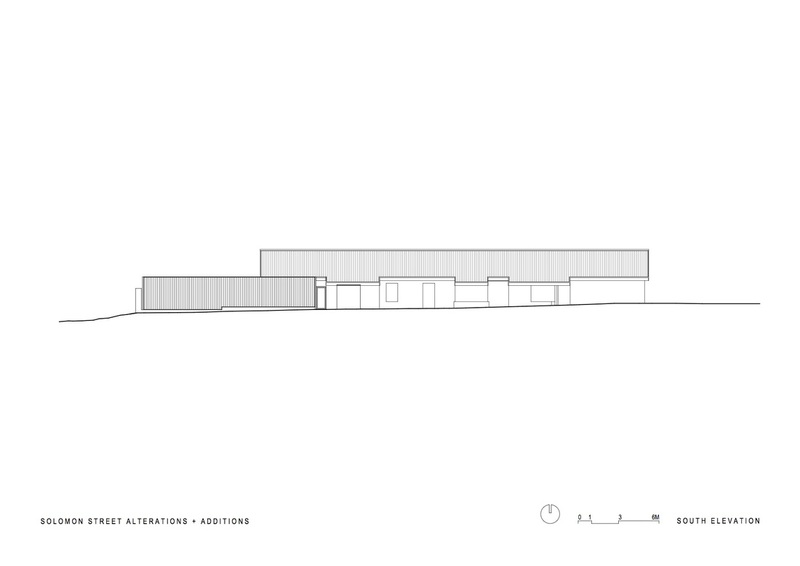 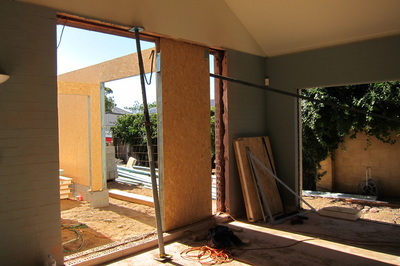 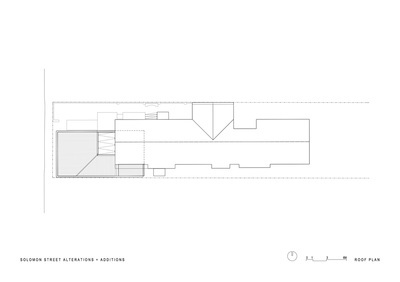 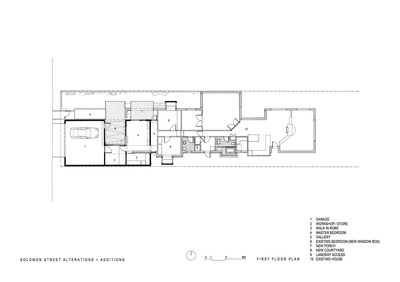 The addition is conceived as an element which pushes into the existing house from the laneway.